I’ve recently realized my husbands obsession with sweet potatoes. After planning a meal for every night of the week, I’ve learned to get creative. Checkout this exciting recipe that is completely open to substitutions and additions. Cook or reheat meat in skillet. Once potato is soft, remove from over cutting a slit down the middle. Scoop out flesh but keep the skin intact. Mash sweet potato, meat, chili powder and cumin in a separate bowl. 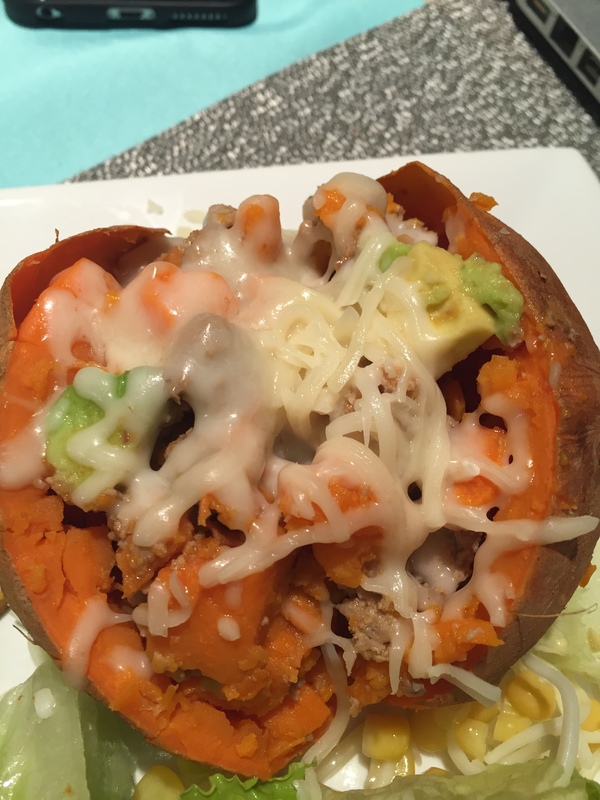 Scoop mixture back into potato and top with cheese and avocado.